The iPhone XS and iPhone XS Max have begun landing on doormats, with the phones also going on sale early in certain countries due to time zone differences. We can expect a number of teardowns to appear online, giving us our first look at what is going on inside the new flagship iPhones. In fact, the first of those is already here, though, provided by FixjeiPhone NL. The phone that had the debatable pleasure of being torn apart was an iPhone XS, which does mean that we get to see how Apple has progressed its design from last year’s externally identical iPhone X. While the video itself is in Dutch, it’s easy to see the biggest difference here – the new L-shaped battery. The technician carrying out the teardown does also note that the new iPhone XS is more difficult to take apart than its predecessor, presumably thanks to that new IP68 water and dust resistance rating. Moving back to the battery, where the iPhone XS differs from the iPhone X is the fact that the L-shaped battery is now a single unit. 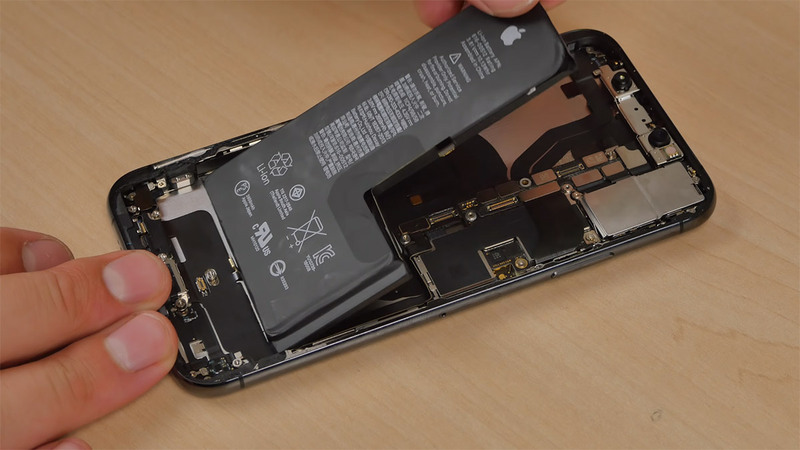 Last year’s iPhone X used an L-shaped battery that was actually two batteries under the hood, whereas the new iPhone solution is all one battery. We now also have 100% confirmation that the iPhone XS has a battery capacity of 2658mAh, which is a reduction on the 2716mAh battery that the iPhone X boasted. The smaller battery isn’t impacting performance, though, with the new phone lasting up to 30-minutes longer on a single charge according to Apple’s numbers. We expect to see plenty more teardowns when more people get their hands on new iPhones this Friday, including the ever-reliable iFixit. thats a very impressive design. VERY impressive.